We've put our savory Cinnamon Walnut Coffee Cake in a festive red tin! Try our 8" coffee cake in the morning with our delicious Rio Red Grapefruit! 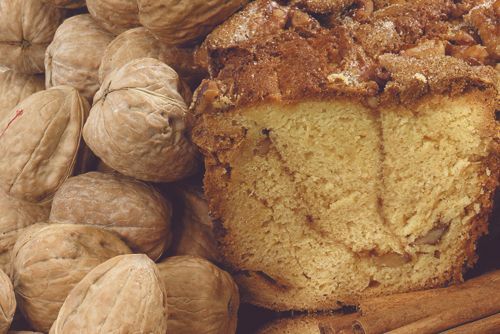 Baked with walnuts and certified Kosher.